"The eighteen major Puranas are the Brahma, Padma, Vishnu, Shiva, Linga, Garuda, Narada, Bhagavata, Agni, Skanda, Bhavishya, Brahma-vaivarta, Markendeya, Vamana, Varaha, Matsya, Kurma and Brahmanda Puranas." So Padma Purana is one of the Puranas in the mode of goodness, passion, and ignorance, and to reclaim all these conditioned souls, there are eighteen Puranas. Six Puranas are meant for those in the mode of goodness, six for those in the mode of passion, and six for those in the mode of ignorance. The Padma Purana is written for those in the mode of goodness." Purnaprajana das joined ISKCON in September of 1970, in Boston. In April of 1972 he came to India and served as head pujari in the Calcutta temple until 1979. He has been an avid student of Shrila Prabhupada's books and has published his summary studies of Shrimad-Bhagavatam and Shri Chaitanya-charitamrita. 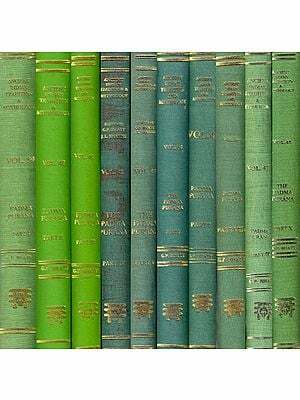 Besides these, he has written published summaries of Ramayana, Mahabharata and Shri Chaitanya-bhagavata. Now residing in Vrindavana, he will continue his series of summaries of Puranas. Next will be the Narada Purana. For a long time, I was thinking that a book containing stories form the Puranas would be very interesting. I had already written summaries of the Ramayana and Mahabharata- as well as summaries of Shrimad-Bhagavatam, Shri Chaitanya-charitamrita, and Shri Chaitanya-bhagavata- told in story form. It is a fact, that devotees are always interested in hearing a good story- especially if they are children. So, with this in mind, I decided to write a book of stories and teachings from the Padma Purana. From the Bhaktivedanta Vedabase, I found by searching that Shrila Prabhupada had quoted from Padma Purana wore than four hundred times in his writings and lectures. 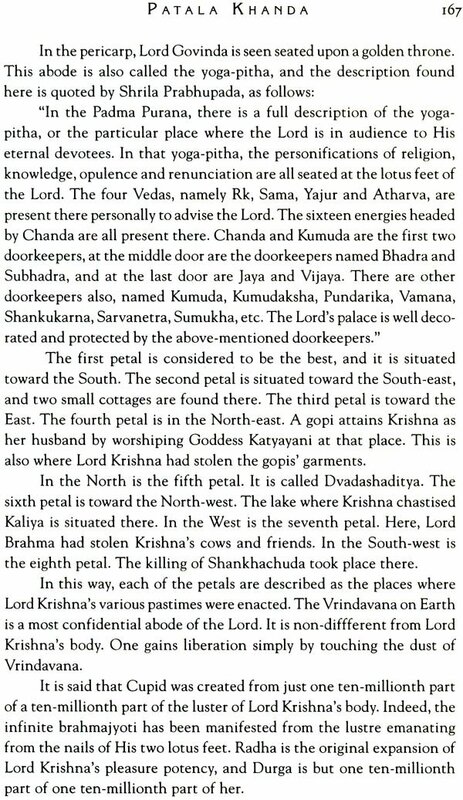 This made me think that it would be very nice to include some of these references in the stories of the Padma Purana that I was compiling. "My dear Narada, I do not dwell in Vaikuntha or in the hearts of the yogi, but wherever My devotees sing My glories" (Padma Purana). "We are transmigrating from different bodies. Jalaja nava-laksani sthavara laksa vimsati, krmayo rudra-sankhyakah. In Padma Purana, the gradual process of evolution is there. This evolution theory put forward by Darwin, that is nonsense. Because the Darwin's theory is evolution of this body." "The eighteen major Puranas are the Brahma, Padma, Vishnu, Shiva, Linga, Garuda, Narada, Bhagavata, Agni, Skanda, Bhavishya, Brahma-vaivarta, Markandeya, Vamana, Varaha, Matsya, Kurma and Brahmanda Puranas." Prabhupada: "So, there are different kinds of Puranas, eighteen Puranas, because the whole Vedic literature means to claim all kinds of men. Not that those who are meat-eaters or drunkards- they are rejected. No. Everyone is accepted. It is just like you go to a doctor. He'll prescribe you different medicines, according to the disease. Not that there is only one disease, and so one medicine. Whoever comes, the doctor offers that medicine. No." "The real treatment is gradually, gradually. But the sattvika-puranas (Those in goodness)- they are meant for immediately worshiping the Supreme Personality of Godhead. There is no gradual process. But gradually, one who comes to this stage, he's advised by the other Puranas. 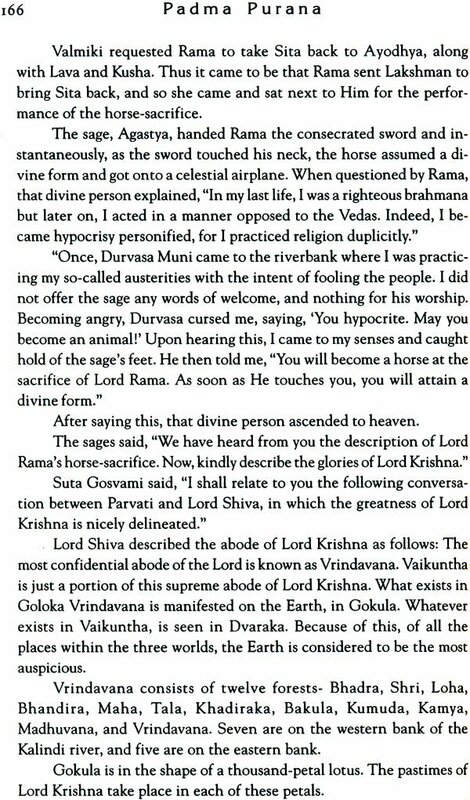 So Padma Purana is one of the Puranas in the mode of goodness. Continue reading." Devotee: "It says in the Padma Purana, 'No one can understand the transcendental nature of the name, from, qualities and pastimes of Sri Krishna through his materially contaminatd senses. Only when one becomes spiritually saturated by transcendental service to the Lord, are the transcendental name, form, quality and pastimes of the Lord revealed to him.' "
Prabhupada: "Yes, this verse is very important." "There are men in the modes of goodness, passion, and ignorance, and to reclaim all these conditioned should, there are eighteen Puranas. Six Puranas are meant for those in the mode of goodness, six for those in the mode of passion, and six for those in the mode of ignorance. The Padma Purana is written for those in the mode of goodness." "In the Markandeya Purana there are description of ritual and ceremonies in which a goat may be sacrificed in the presence of the goddess Kali. This Purana is meant for the instruction of those in the mode of ignorance." When Lord Chaitanya traveled to East Bengal, Tapan Mishra had come to surrender at His lotus feet. Tapan Mishra had said, "My Lord, I do not know what is the goal of life, and the means to attain it." At that time, Lord Chaitanya had explained that one who reads too many books would surely become confused. In this regard, Shrila Prabhupada often asked his disciples to be satisfied by reading his books. He knew that, by reading other books, his disciples might become doubtful, in some way or other. And, as mentioned in Padma Purana, only the mantra (of instruction) that is received in the genuine disciplic succession is capable of delivering the desired results. Therefore, I request the readers of this book to use this experience as a means of enhancing their Krishna consciousness. Do not take seriously any apparent contradictions with Shrila Prabhupada's teaching that are found in this Book. 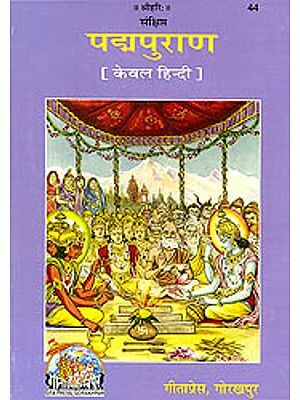 This book was written from an English edition of the complete Padma Purana. However, the translators were not devotees of the Lord in disciplic succession. They were academic scholars. For this reason, this book cannot be accepted as authoritative the way that Shrila prabhupada's books are. Still, as much as possible, I have tired to phrase everything in way that is congenial to pure Krishna consciousness. We hanker after newer and newer literatures, and so if that propensity is used to read books such as this, we will always remain within the sphere of Krishna consciousness. Also, I must say that the Padma Purana contains very harsh descriptions of women, and their association. Personally, I am a great admirer of women in Vedic culture, and it must be remembered that this book also suitably glorifies such chaste and devoted women. 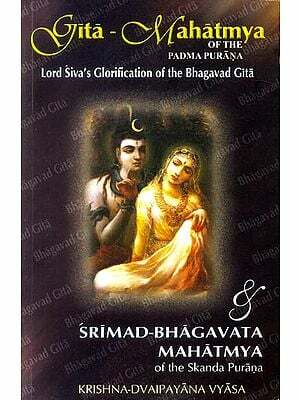 I sincerely hope that the reading of this book gives you some further appreciation of Krishna consciousness, as well as of the great value of establishing a society on the basis of religious principles. jai shree krishna.....when i was littel girl i dont know about 'astha' n bhakti but when we to Dwarka and saw krishna ji 'Murat' called Dwarkadhish i was like blank at that time i felt a power of shree krishna n i remember one of pujari came to me and said &quot;sherr krishna sharanam mama:&quot; n till now its like my breath....i now during reading this page its 100% pure what ever you write to the all of purans i got PHD in sanskret n i deeply researching in our spiritual human seances in university Sydney thank you so much for this wonderful description of purans.